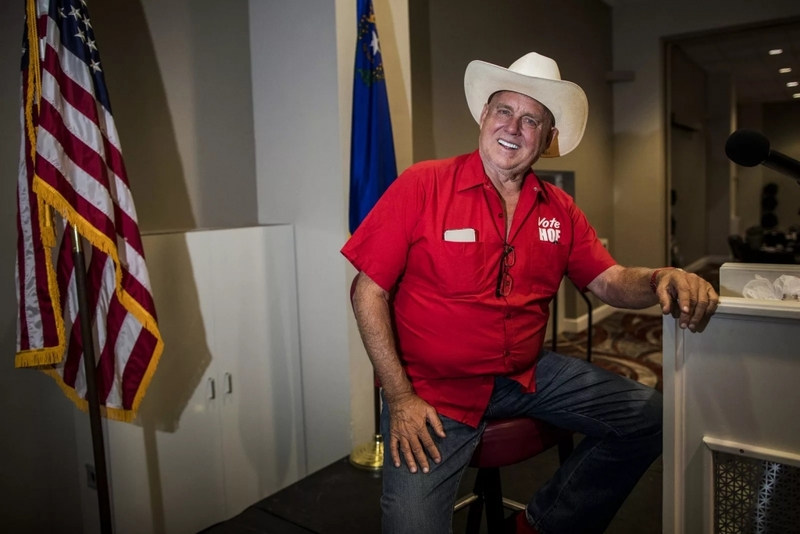 (Robin Hebrock | Pahrump Valley Times) – Famed Nevada brothel owner and Nevada Assembly District 36 Republican nominee Dennis Hof may have passed away on Oct. 16, but political experts are predicting his death will make very little difference in the outcome of that race. Agreeing that Hof will still be elected by the Republican majority in District 36, two political science professors also said that Hof’s passing provided a sort of relief for certain Republicans, both voters and politicians alike. There are two names on the ballot for Assembly District 36, Republican Hof and Democrat Lesia Romanov. Further, Herzik said he believes Hof’s passing will actually create a positive outlook for many Republicans who were uncomfortable with the idea of electing and working with a brothel owner. Fred Lokken, chairman of the Department of Business, Political Science and History and professor of political science at Truckee Meadows Community College, concurred with Herzik’s point of view. Lokken noted that he too believed Hof would ultimately see a post-mortem election win. Nye County GOP Chair Joe Burdzinski is yet another who is anticipating a victory for Hof this November, despite his death. “Elections in the past have always favored Republicans over Democrats in Assembly District 36 and all of Nye County,” he said. However, Burdzinski still took the time to emphasize his belief that voters need to hit the polls and cast their votes in favor of Hof. “People need to vote for Dennis Hof so a Republican can be appointed to that seat. In that case, when Dennis wins, Nevada NRS clearly states that a Republican would have to be appointed to that position,” Burdzinski said. He remarked that the appointment to fulfill the two-year term would be in the hands of the county commissions of Nye, Clark and Lincoln counties, which make up District 36, but Nye would likely have the most weight because the largest percentage of the District 36 population lives in Nye County. Early voting for the 2018 general election is already underway. Election Day is Tuesday, Nov. 6.